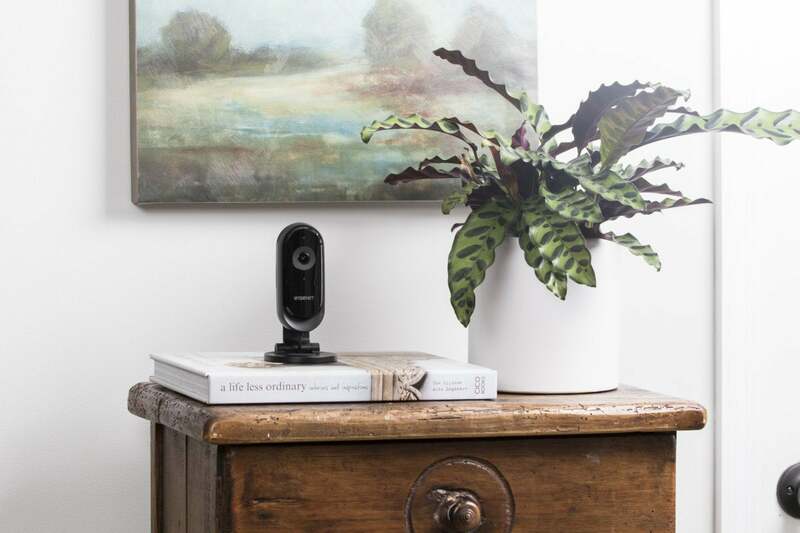 Of all the AI features that put the “smarts” in smart security cameras, facial detection is undoubtedly the most complex and frustrating. Thanks to the variable quality of the algorithms behind them, three different cameras with facial detection can give you maddeningly different results. My expectations, then, for Wisenet’s SmartCam N2 with facial recognition were modest. But after using it for week or so, I’m ready to say the N2 is one of the better facial-recognition cameras out there. The N2’s capsule-style body comes mounted to a metal base you can set on a table or shelf. The stand doubles as a mount, and hardware is provided to screw it to the wall. If you decide to go this second route, you’ll need to detach the camera from its stand, and then reattach it to its backside before you can complete the wall installation. Step-by-step mounting instructions are included in the user manual and can be completed in about 10 minutes. You operate the N2 with the Wisenet SmartCam+ companion app, which will guide you through initial Wi-Fi setup. Once that’s complete, you select the N2 from the device-list screen to view its live stream. The SmartCam N2 comes attached on a metal stand that can be modified to mount on a wall. The camera has a 130-degree field of view and streams in 1080p resolution. Despite the wide angle, there’s little fisheye distortion, and HDR imaging ensures a nice, balanced picture with vibrant colors and high contrast. Interestingly, the N2 doesn’t use infrared LEDs to illuminate the area in front of in the dark. Instead, is uses 2D/3D noise reduction to capture video in low light. This works well, but it does require the presence of some ambient light to work. That means if you’re leaving the camera on at night, you’ll need to leave a light on as well, because it can’t “see” anything in pitch black. Controls beneath the image pane are take a screenshot, change the resolution, and activate the two-way talk feature. You can also trigger an alarm—a police siren, a dog barking, or a standard alarm sound—if you catch an intruder in your home. The N2 can reliably recognize and identify faces. The N2 started detecting faces as soon as it was up and running. Up to 100 recognized human faces are automatically saved in a gallery, where you can review and identify them. Tap a face and you’re given the opportunity to name the person and play back the captured video associated with them. You can select up to 10 records of the same face and merge them to increase the facial-detection accuracy. 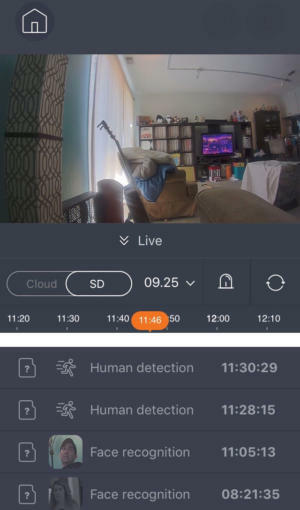 Once you’ve labeled all your family members, and anyone else who regularly spends time in your home, you can drag-and-drop their facial records to an “interested faces” pane, so you’ll be notified whenever they’re caught on camera. I used this feature to be notified any time my middle-schooler got home from school when I was away, and it worked reliably. You can designate up to eight interested faces. In my experience, when facial detection technology falls short, it usually does so by identifying something non-human, like a pet, as a face. The N2’s facial detection has no problem recognizing a human visage even if it’s not attached to a flesh-and-blood body. About a third of the faces my camera initially detected were close-ups of people on my TV screen. Though Wisenet trumpets the N2’s ability to recognize faces in its name, it’s not the camera’s only detection feature. It also includes an Abnormal Sound Detection feature, which recognizes and alerts you to glass shattering, sirens, and screams. 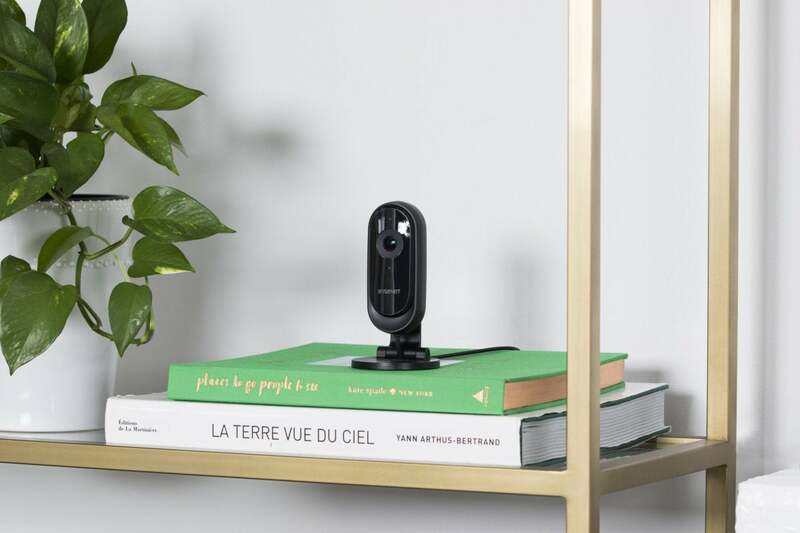 To initiate it, you have the camera capture the ambient noise levels in your home, which it displays on a chart, and then you set a reference level that’s one-and-a-half to two-times higher. In testing, it easily detected screams, but it could also be triggered by my kids’ rambunctious play, so it’s likely it could be set off by any extra-loud noise around your home. Finally, the N2 also includes a more basic Human Detection feature you can activate in the app settings that minimizes false alerts by ignoring animals and other non-bipedal activity.